We’re delighted to be able to announce the news of our recent investment! Read on to find out more! A Blyth-based company which has developed a device to supply superfast broadband to remote sites has received a £300,000 investment. The funding from the North East Venture Fund, supported by the European Regional Development Fund and managed by Mercia Fund Managers, will be used to purchase parts to create more devices and to build its senior management team. As part of the deal, serial entrepreneur and company director Keverne Watt, the former managing director of North Shields packaging firm Jaycare, has been appointed as the company’s chairman. Trench Networks’ Outpost product aggregates mobile phone signals from all major networks and combines them to achieve super fast broadband speeds and has welcomed clients such as ESH Group, Metnor Construction and Ascent Homes. The device, which enables instant access to internet and mobile networks without cables or dongles, was designed primarily for construction companies, but has also been used by holiday parks, broadcasters and other users of sites with no existing infrastructure. Trench Networks was founded in 2016 by Kevin Latimer, who had previously spent 15 years leading IT at Tolent Construction in Gateshead, and his business partner Claire Hollyman. Muckle provided legal advice to Mercia on the investment while Ward Hadaway advised the company. Robert Cooper from UNW provided fundraising advice to the company. 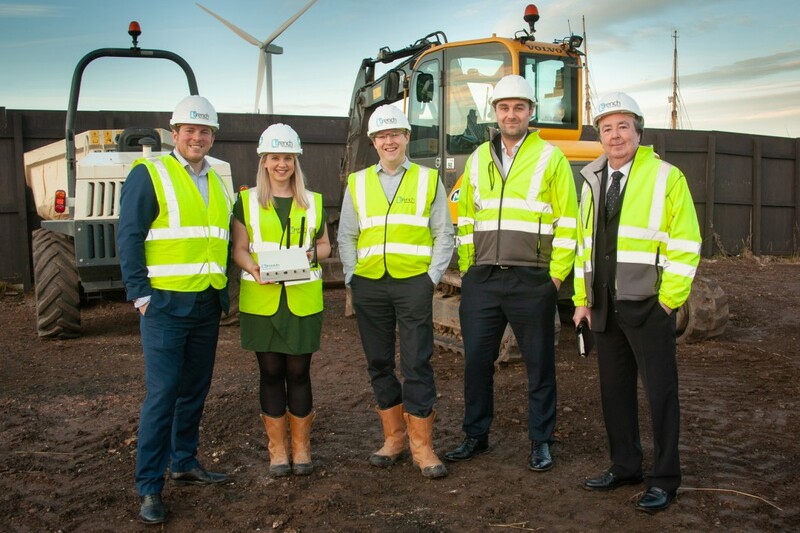 Claire Hollyman, the company’s operations director, said: “We welcome this investment, which will enable us to carry out our ambitious growth plans, creating new jobs while continuing to innovate within our core construction market and diversifying our multi award winning site Wi-Fi service to other sectors. Jan Oosthuizen of Mercia Fund Managers said: “Trench Networks has developed an innovative product that solves a real problem for remote connectivity. Like reading our updates and think we could help you?